In this video Jonathan Mildenhall, Vice-President, Global Advertising Strategy and Creative Excellence at The Coca-Cola Company is the person responsible for leading global creative vision and strategy for the Company’s portfolio of global brands. 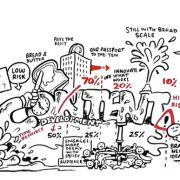 In this video he explains how Coke will leverage the opportunities in the new media landscape and transform one-way storytelling into dynamic storytelling hoping to add value and significance to peoples lives. Jonathan describes the challenge of content creation in an enlightening way, reminding us that “every contact point with a customer should tell an emotional story”. I stumbled across a story about the above videos in the Content Marketing Institute’s official magazine CCO – Chief Content Officer. The article I read in the magazine insisted I go and watch these videos. Once I started watching them I could not believe that I had not seen the videos yet and how much truth they hold. It becomes obvious really quick that Coca-Cola has some seriously smart people working for them on their marketing team. It would be wise for you to start to adapt their strategies for your business or brand as they are on the forefront of the curve in the shift towards content marketing. The media landscape is changing and is already way different than it was not even 5 years ago. Don’t wait – How are you already making moves in the direction of where this manifesto is headed? The other night I was cruising around in Google Webmaster Tools for a e-commerce website I just launched to sort out some indexing issues. I stumbled upon a new area of GWT that caught my eye: Data Highlighter. At first I had little idea about what it entailed but after watching the video it made perfect sense. Up until this point using Microformats and structured data to improve the look of your SERP listings was a task left for a developer. Now Google as has produced an alternative that in many ways replaces the need for hiring a costly developer to ensure you are getting the most out of structured data. What is the Google Data Highlighter? If you want to use Structured Data on your website, which you should, this new tool from Google makes it extraordinarily easy for just about anyone to do. It seems it would help to have some previous knowledge of Structured Data and micro-formats but the tools makes it pretty simple. 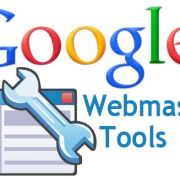 To explain the tool better watch the video below provided by a Google employee to give you a little overview. After weeks of deliberation this is how I was approached by the founder of Local Shapers for approval of his master plan to create a space online for local surfboard shapers. We took this idea to Google’s Keyword Tool to see what kind of organic search volumes came up for related searches. 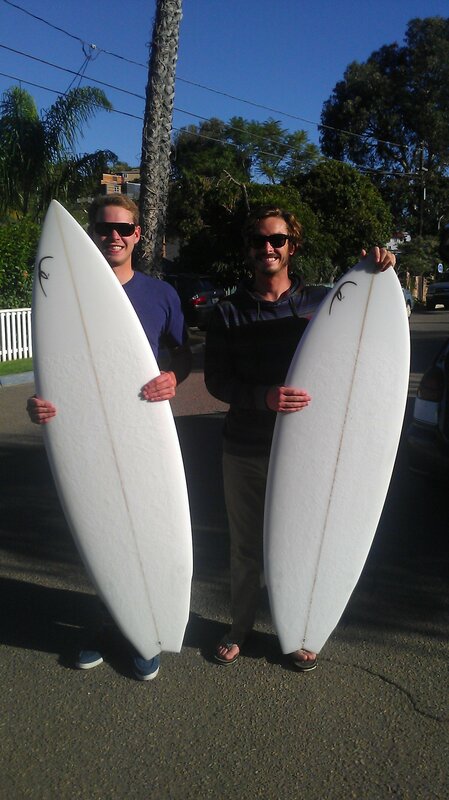 What we found was a huge interest in people looking for local surfboard shapers in their areas. Armed with data to support the cause localshapers.com was established. It’s been some months now since the inception of Local Shapers and the website has grown to cover most all the surfboard shapers in San Diego, CA. The blog content production has been top notch with unique content that has been received very well by the surf community. 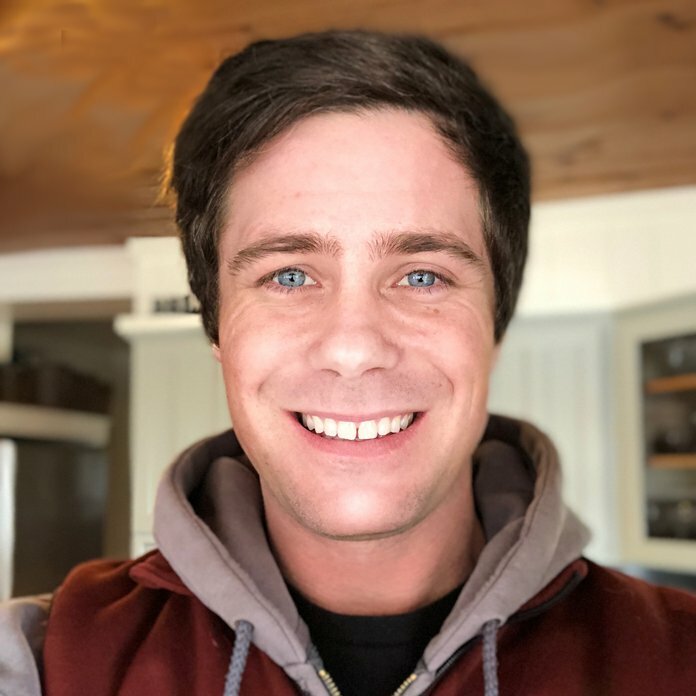 Although I still actively consult on the new website and brand my two friends Stanton Harbaugh and Logan Brown have ran away with the site and have been making huge strides in the development. It has opened up doors for them to follow their passion of surfing allowing them to meet and interview some of the best local surfboard shapers in the area. In local business search engine optimization the business address is a critical element. 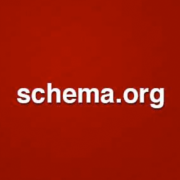 How that address is rendered throughout the website is an easy way to optimize for local search. If you know the code! When you are the owner or author of a website you work to grow and improve your web equity through producing authoritative content. Google will give you more street cred in the rankings if you become an authority in your industry by being a resource for information online. Having your business address on every page and post you’ve crafted in some way funnels down to displaying your business in local search and Google maps. Each page with traffic is a signal to Google that your local business is the authority in your local area. A citation or vote in your favor. Looking to customize the look of your WordPress site? 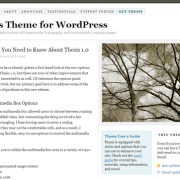 Here is a short article for what makes the Thesis Theme for WordPress by Chris Pearson such a well rounded option for purchase. Currently it only cost $87 but anyone developing websites should own the developers edition for $167 which basically gets you endless use. Thesis has SEO bursting out its seems, options that allow you to achieve any site customization, and a ‘hook’ system that simplifies layout like an invisible framework. Thesis will propel your site right to the top of search rankings like Google, Yahoo and Bing.